The ethos behind Dwaynamics is to provide an interactive learning experience in which these aspiring athletes can transfer the skills learnt through boxing to other elements of their transition to adult life. Focus, dedication and determination are all taught throughout the 10 week courses in order to prepare these amazing young people to enter adult life confidently, in control of their future. With a view of healthier living and to give children active ambition, Dwaynamics provides boxing programmes for people age of 5 + years old. Empowering the parents and adults in the local community is key. This will empower people to improve a positive health and fitness mindset as a unit, as well as creating a positive living environment. The classes provide a way to boost a healthy lifestyle, increasing their general well-being and positive thinking. Young people are the focus at Dwaynamics. 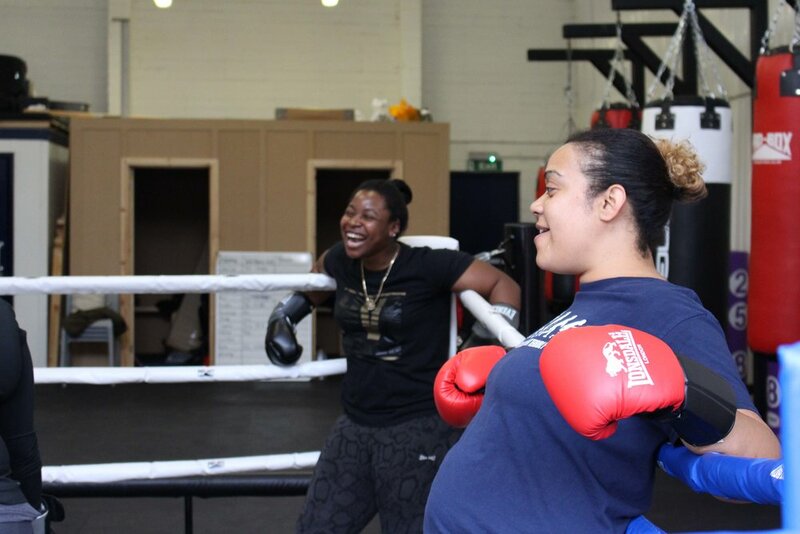 This session encourages young women in their teenage years to develop boxing and fitness skills to build their confidence in other areas of their life. 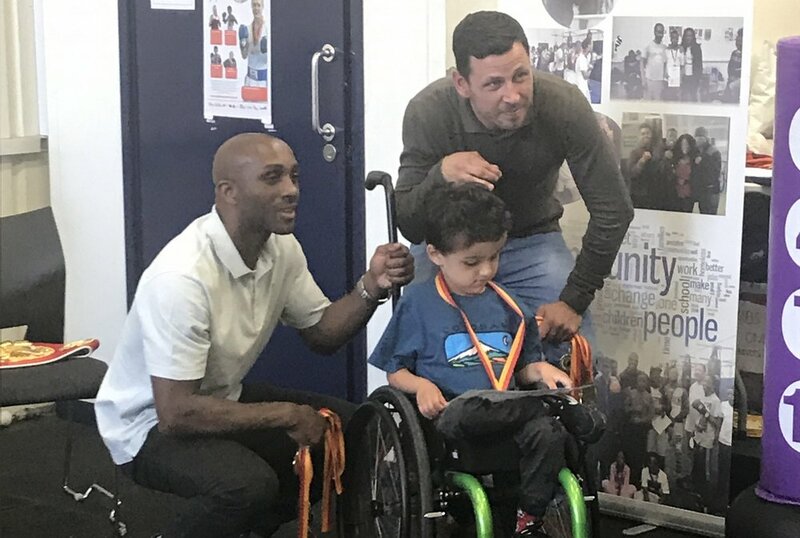 Ensuring that we are an inclusive gym, every summer we host a disability sports camp for children with physical & mental disabilities and learning difficulties. The sports camp provides the children with basic boxing techniques, making it fun whilst encouraging them to move and engage with the trainers. Such a success, the programme has now been developed to provide two sports camps a year as well as additional workshops. The children engage, have fun and have a sense of achievement at the end of the sports day, as they receive their medals for participation. These sports days are extremely rewarding for the children, the trainers, the parents and the care workers who attend. **Children with disabilities are invited to attend the regularly children’s sessions also. Please get in touch to find out more and see how Dwaynamics can best prepare for the session.